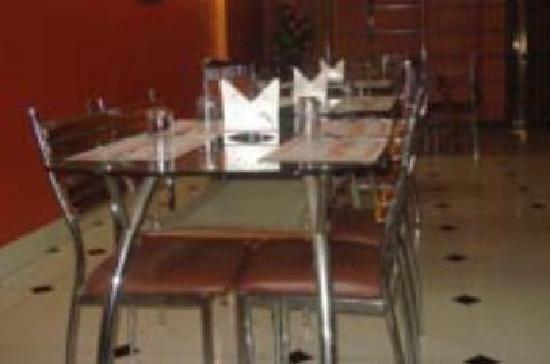 Located on Tank Road at Sakchi in Jamshedpur, Ashoka Inn is budget hotel offering well-furnished accommodation with basic facilities and services. It offers an experience unbeatable hospitality and is in close proximity to all major business and recreational facilities promises to bring convenience. Express Check-In/Check-Out, Restaurant, Doctor on Call, Wedding Services, Beauty Services, Room Service, ATM/Banking, Complimentary Newspapers in Lobby, Parking, Currency Exchange. Desk, Smoking Rooms, Air Conditioning Room, Complimentary Newspaper, Attached Bathroom, Safe Deposit Locker Facility, Bottled Water in Room, DVD Player, Television Room, Wakeup Calls. User reviews for "Ashoka Inn Hotel Jamshedpur"